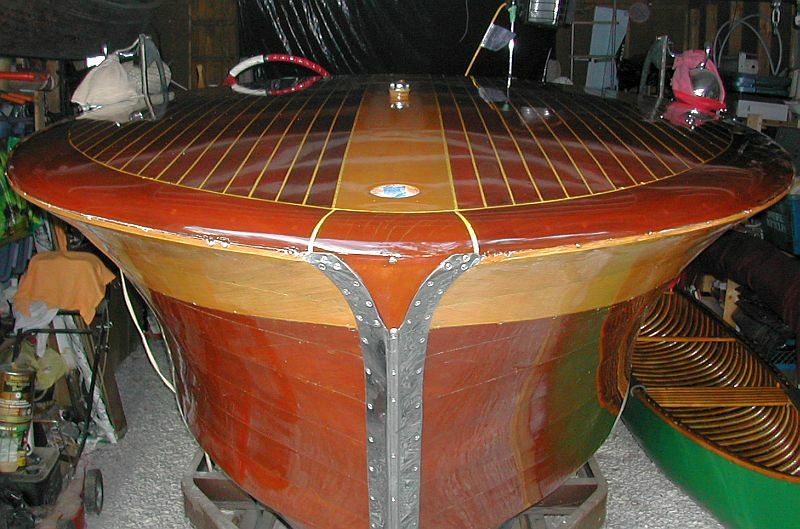 You are browsing the archive for classic wooden boats for sale. 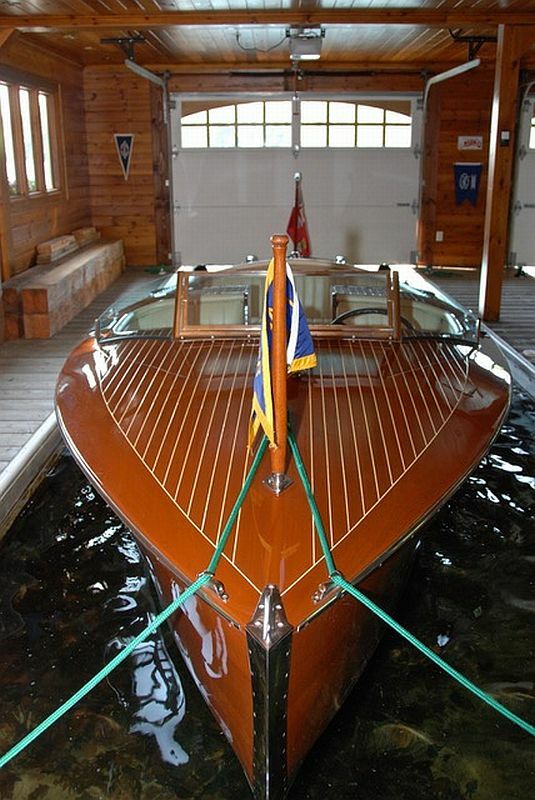 “16 feet, four inches in length, dark mahogany wood. 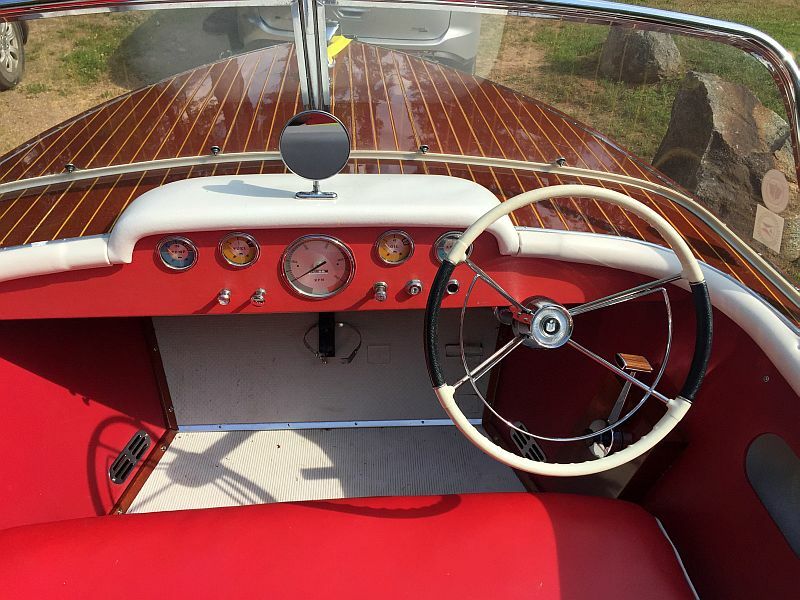 Red & white interior trim (seats, engine cover, etc). 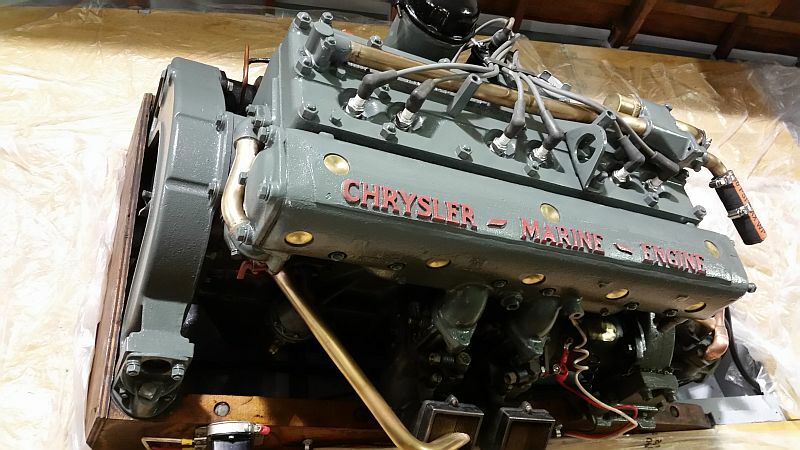 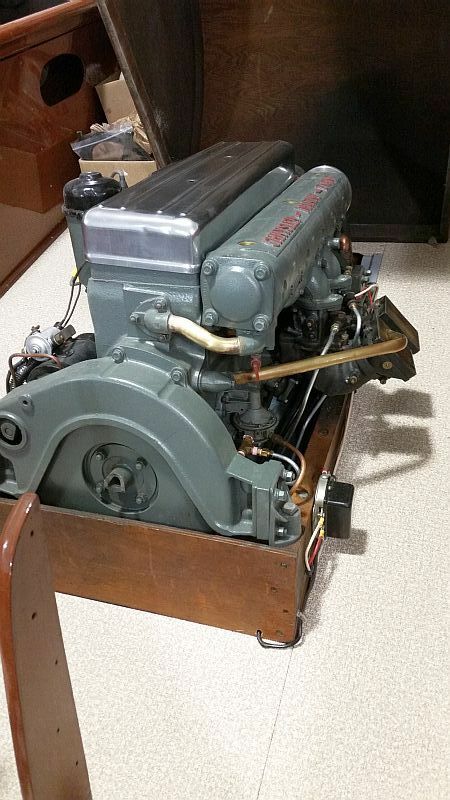 Engine specs: Gray Marine V-8, 175 HP. 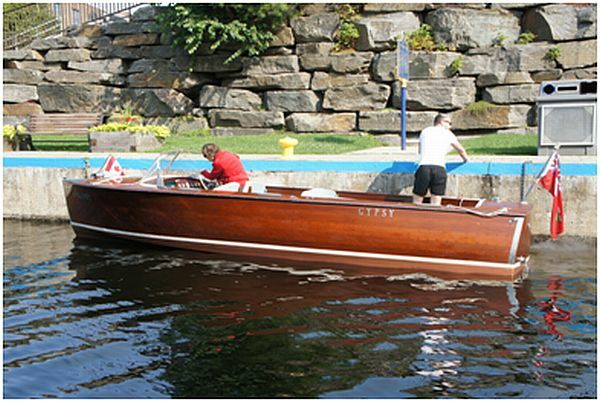 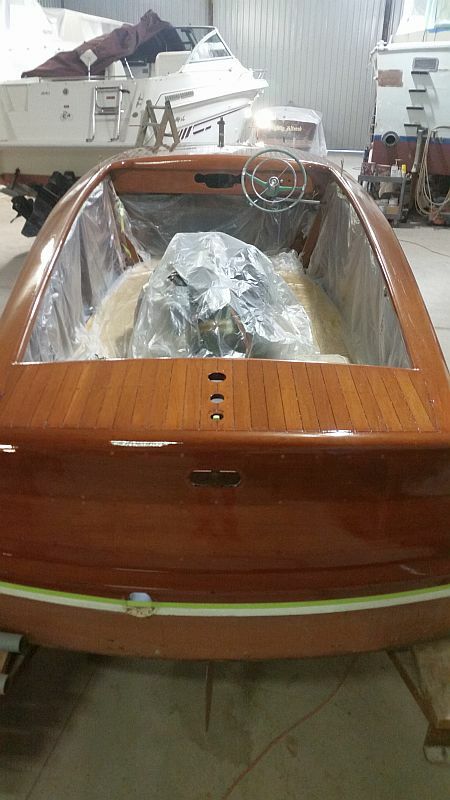 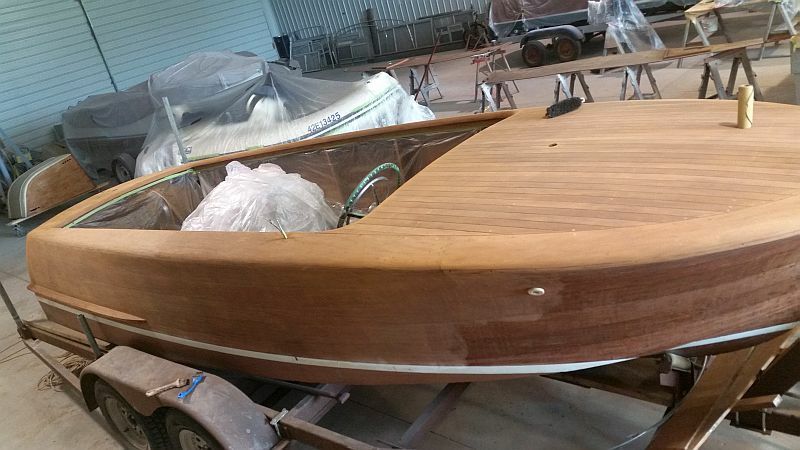 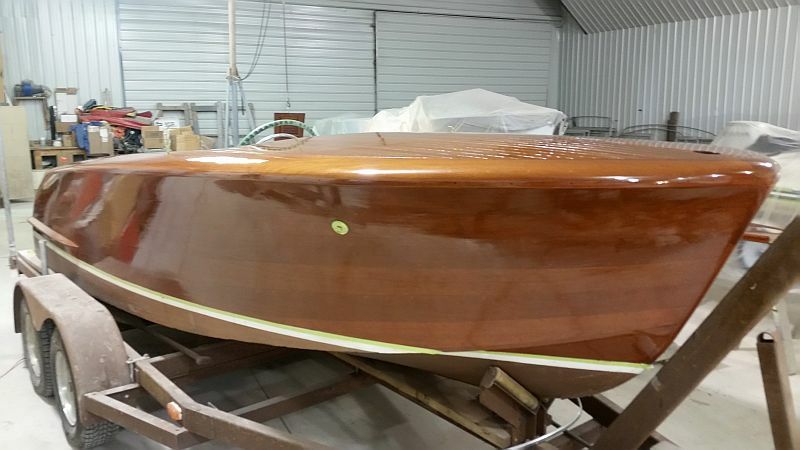 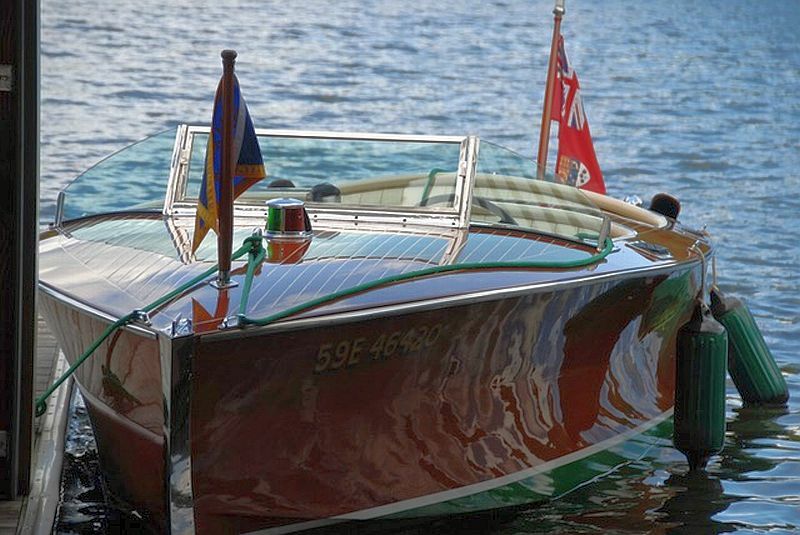 The June Bug has been fully restored by Tim Butson (Tim Butson Wooden Boat Builder, Bracebridge). 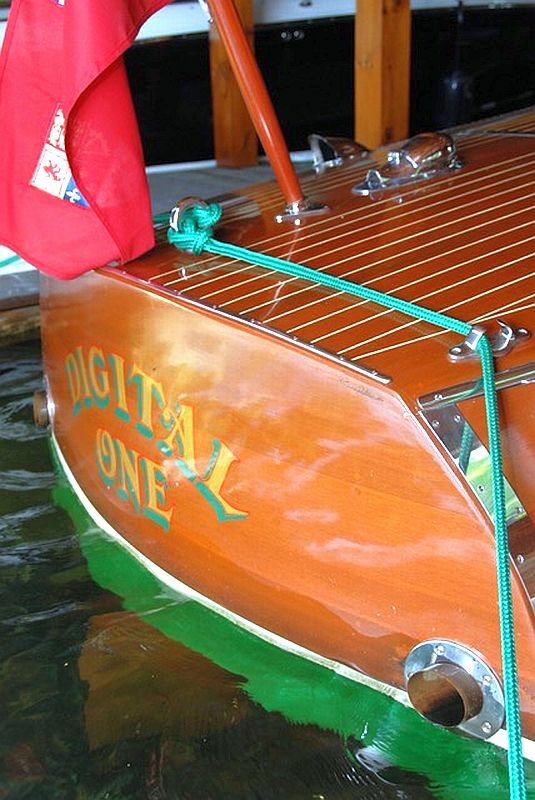 All records, documentation and artifacts will be turned over to the new owner. 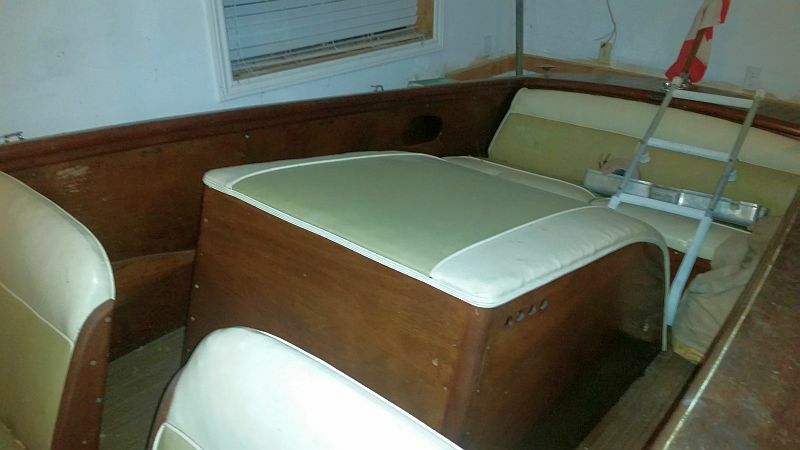 Our family has owned this boat for 5 years. 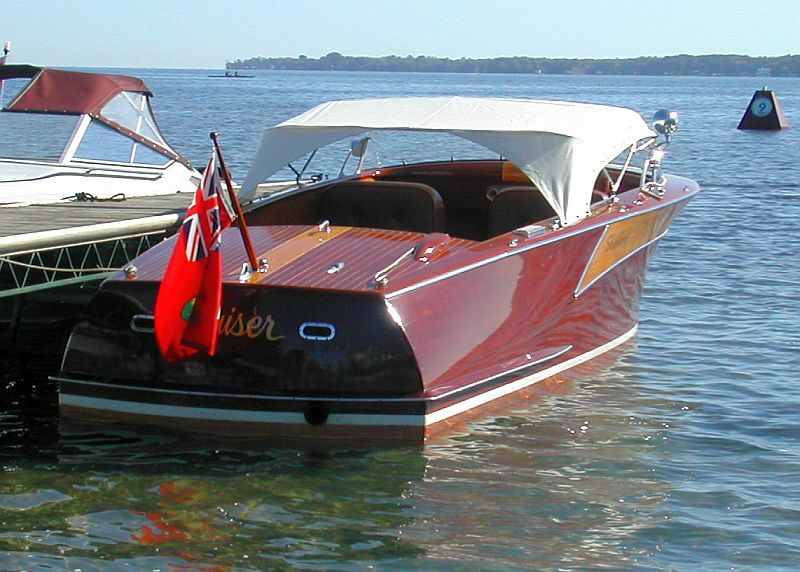 It is an incredible easy boat to handle in the water, providing a comfortable smooth ride, and exceptional power with the V-8. 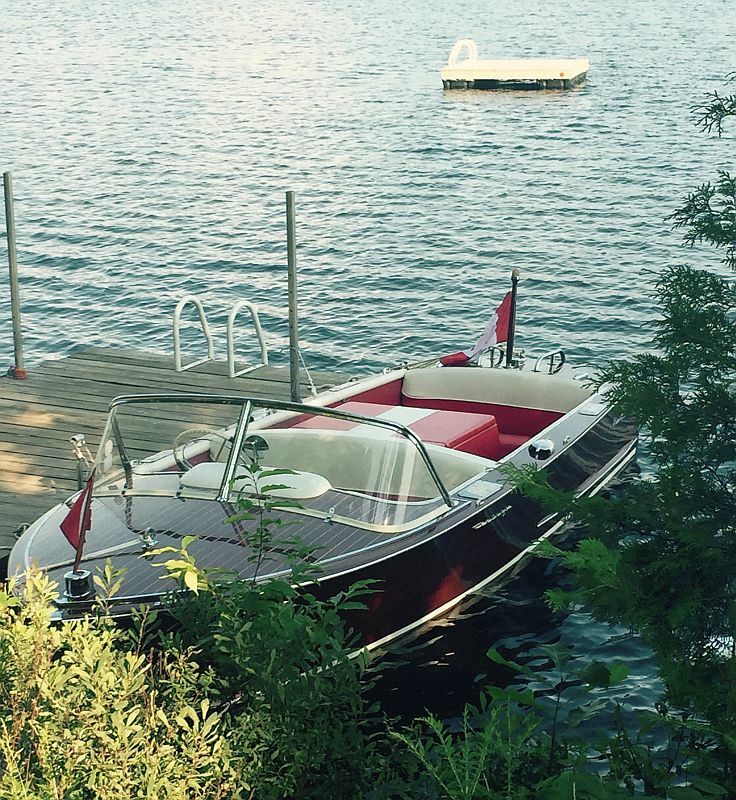 We have used this boat for skiing, wake-boarding, tubing, and cruising the lake. 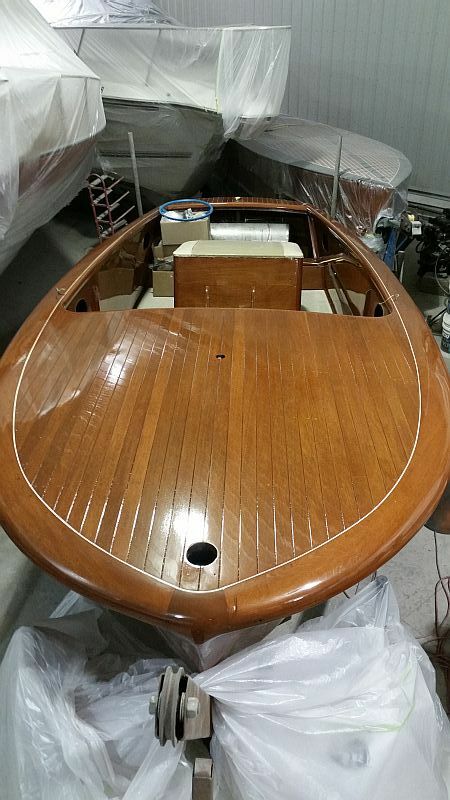 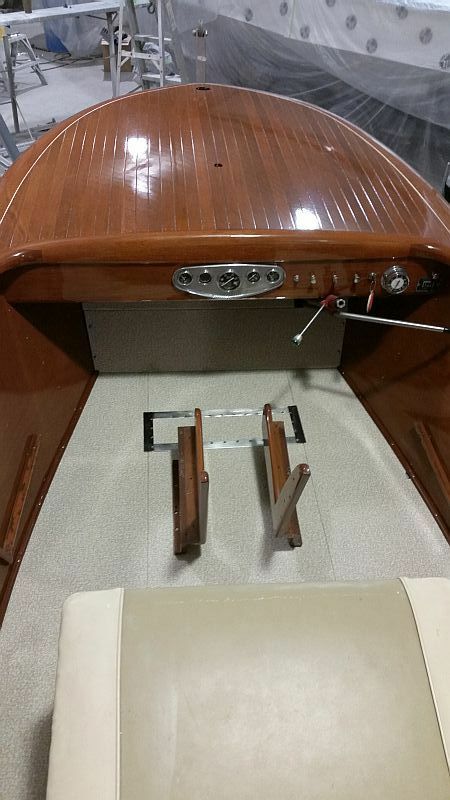 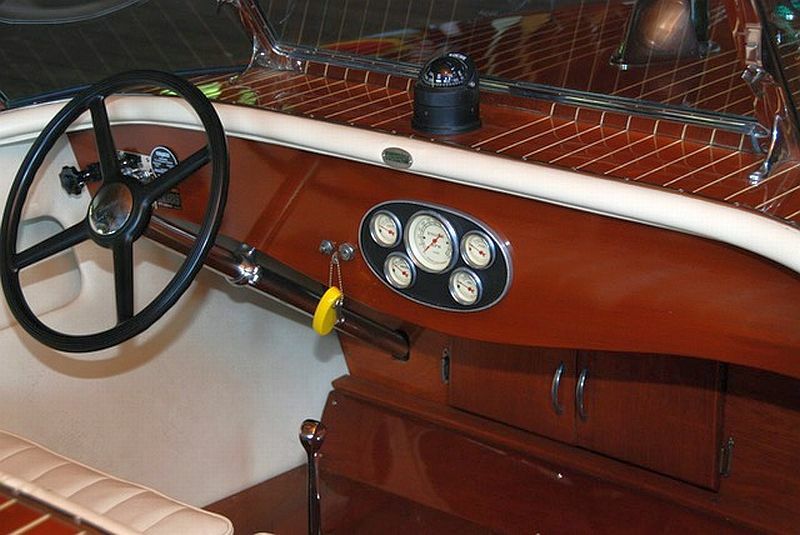 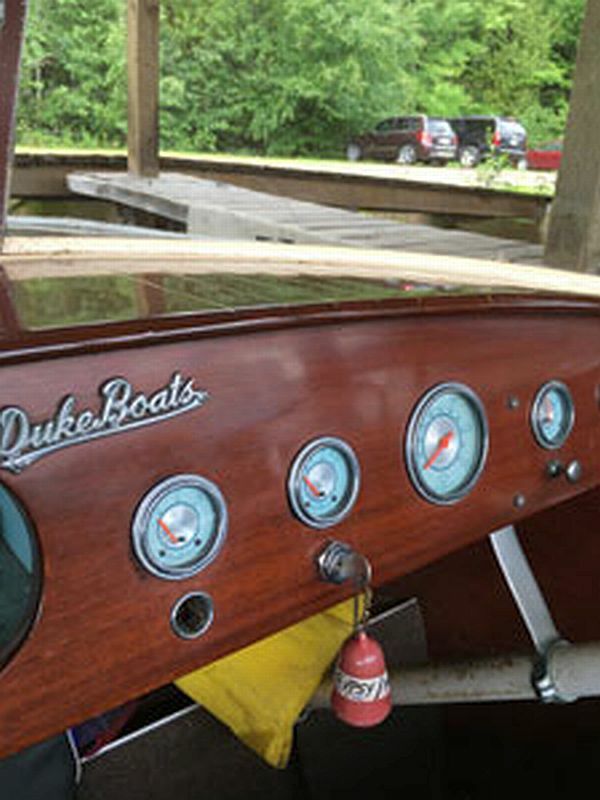 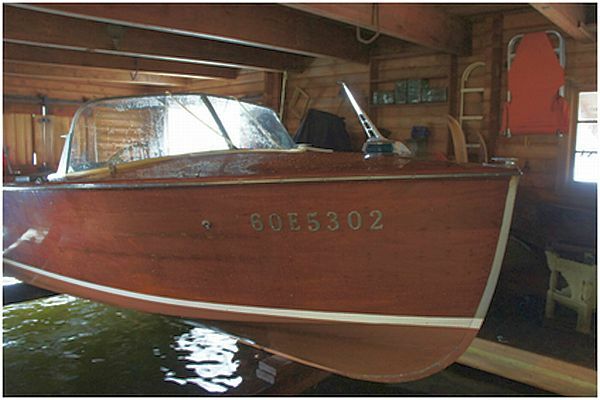 Boat has always been stored indoors, and properly maintained to hold the 1960s feel. 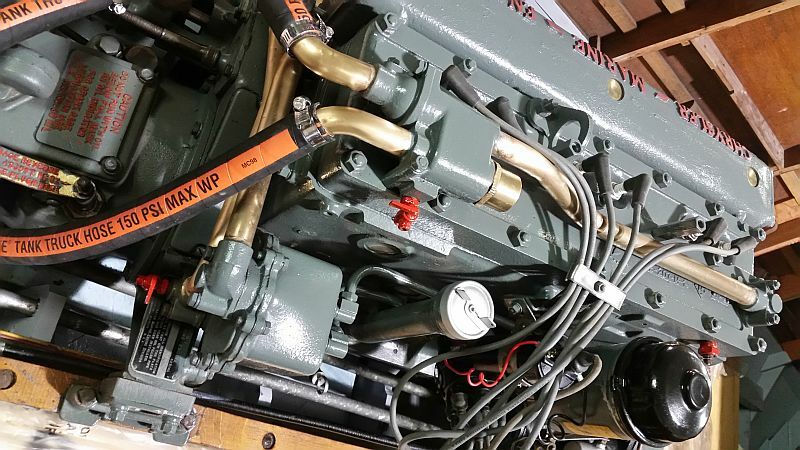 2018/2019 summer/winter tune up has been completed; remove, replace, gap and install (8) spark plugs, remove distributor cap, clean and set points, annual carburetor adjustment. 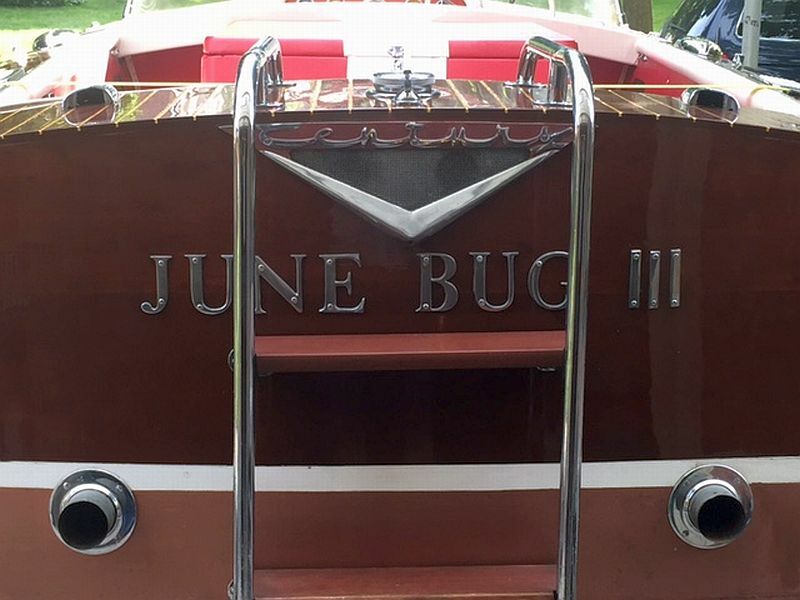 The June Bug is water ready. 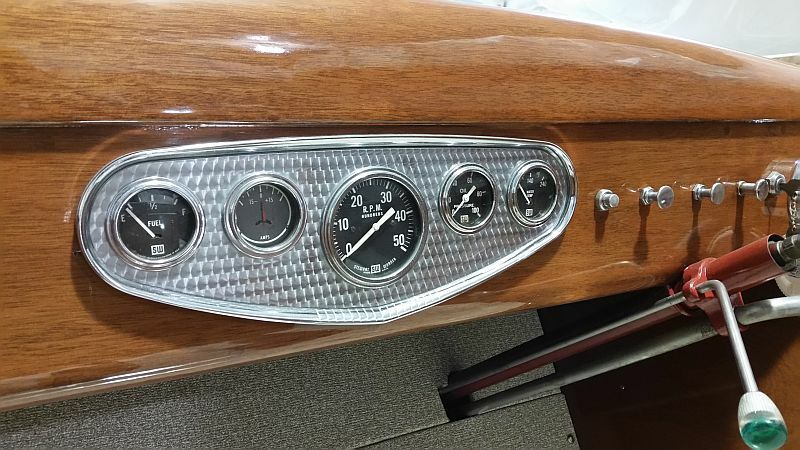 Why are we selling? 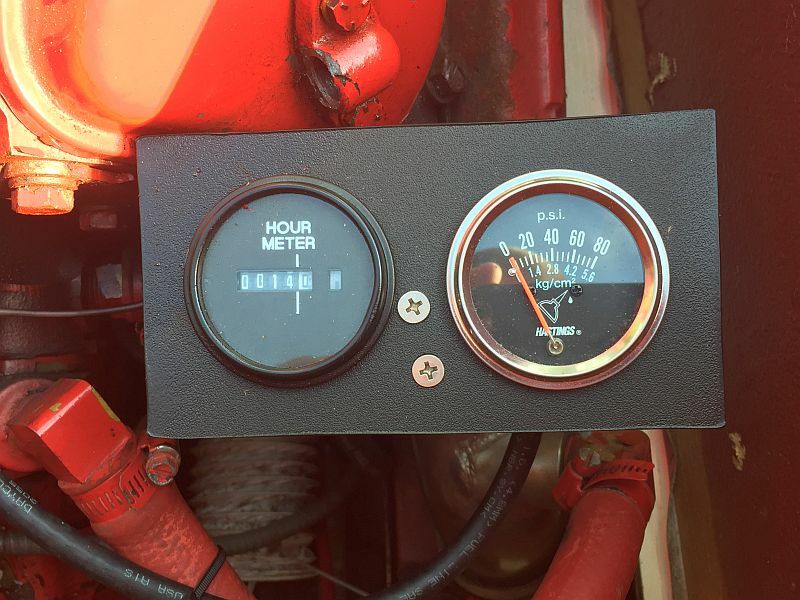 Over the past 5 summers, we have only put 14 total hours on it (see the picture with the hour indicator). 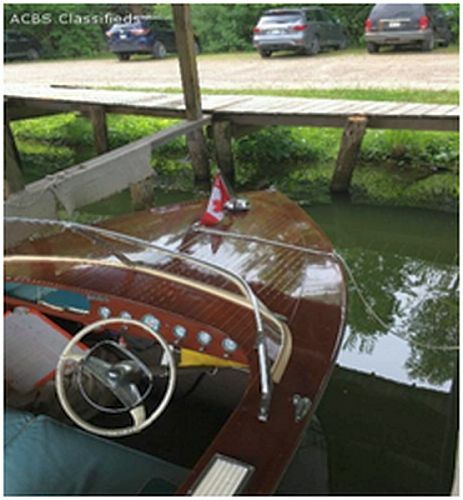 The boat is stored in Bracebridge. 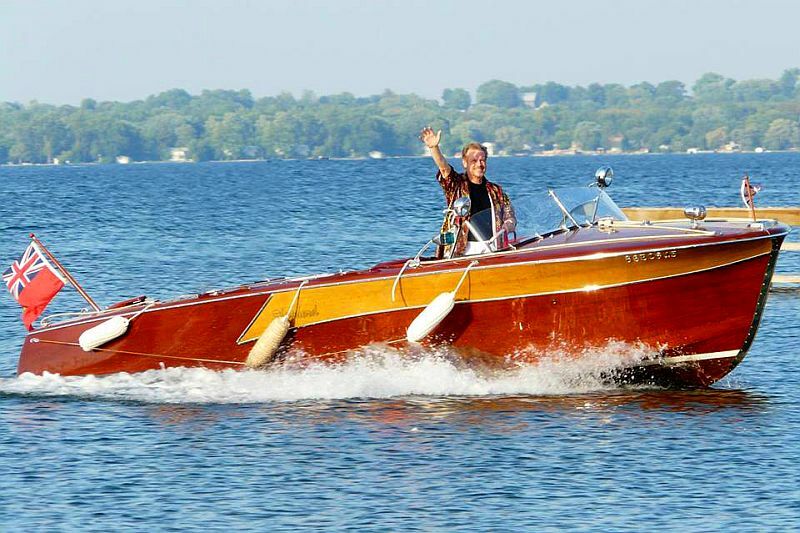 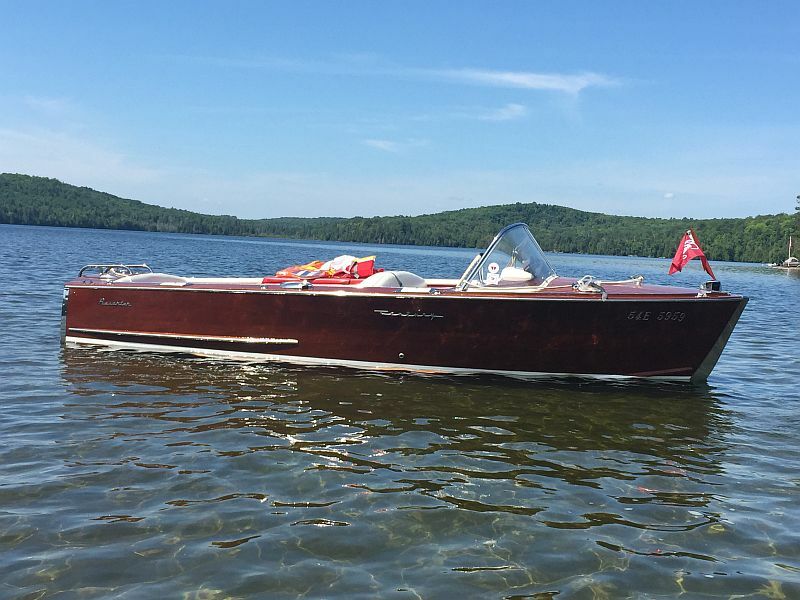 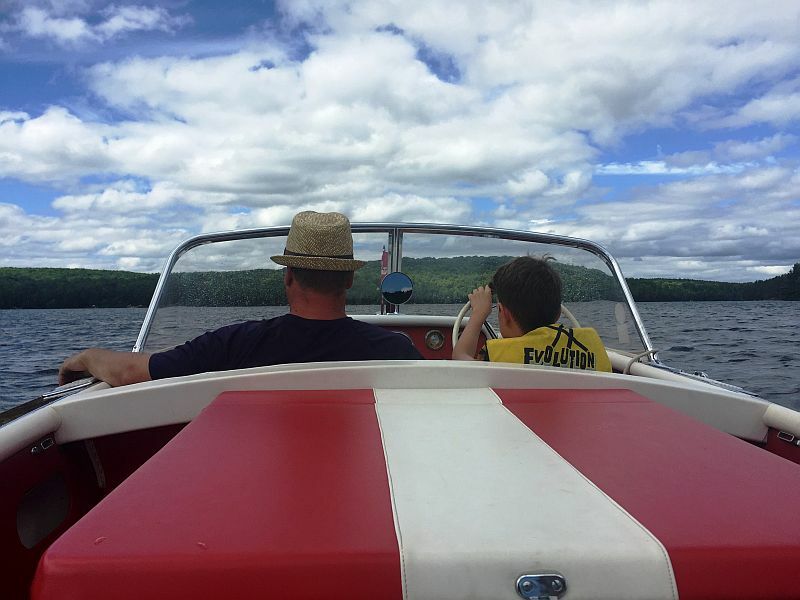 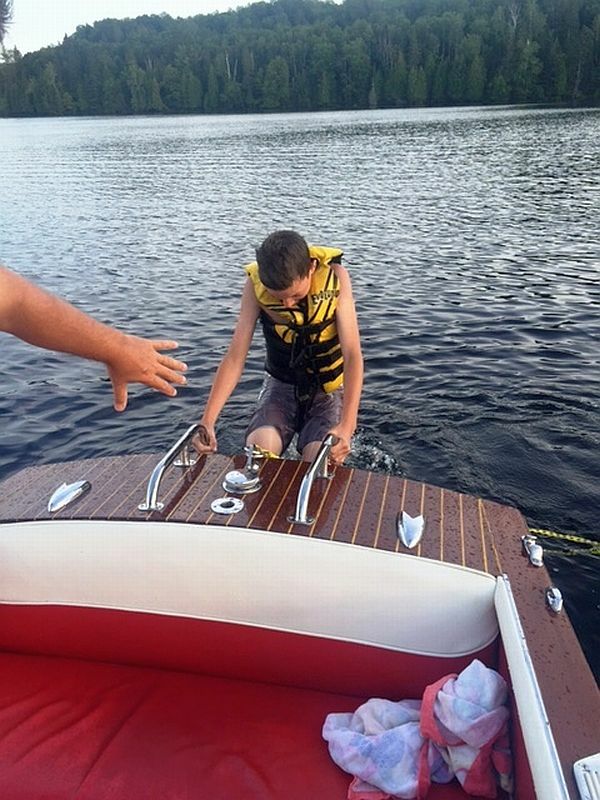 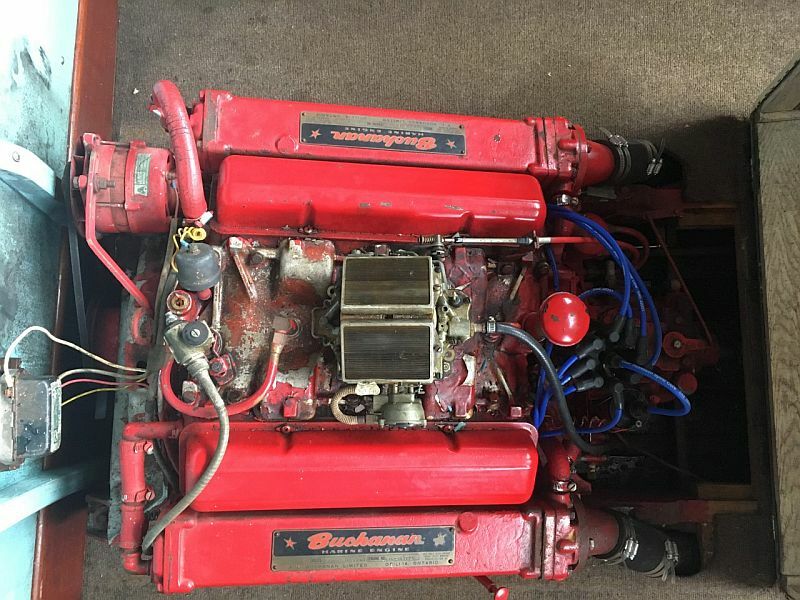 If your family is in the market for a restored, vintage lake cruiser with the ability to ski, tube, wakeboard – look no farther than our ’64 Resorter. 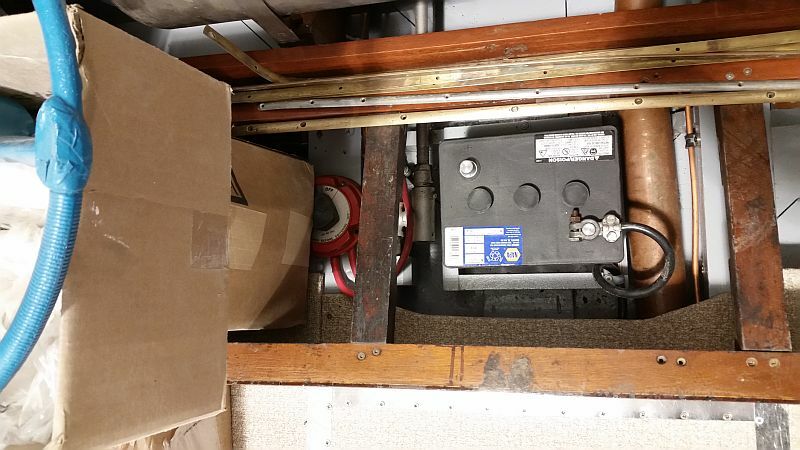 .Trailer not included (trailer is not road worthy). 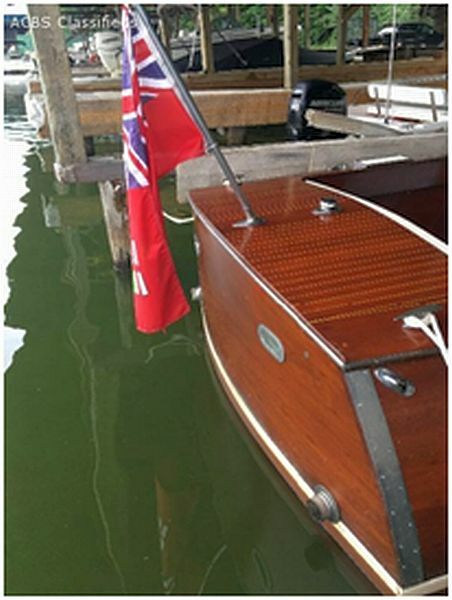 This beautiful 22′ Shepherd has been very well maintained and operated on Lake Simcoe, Ontario. 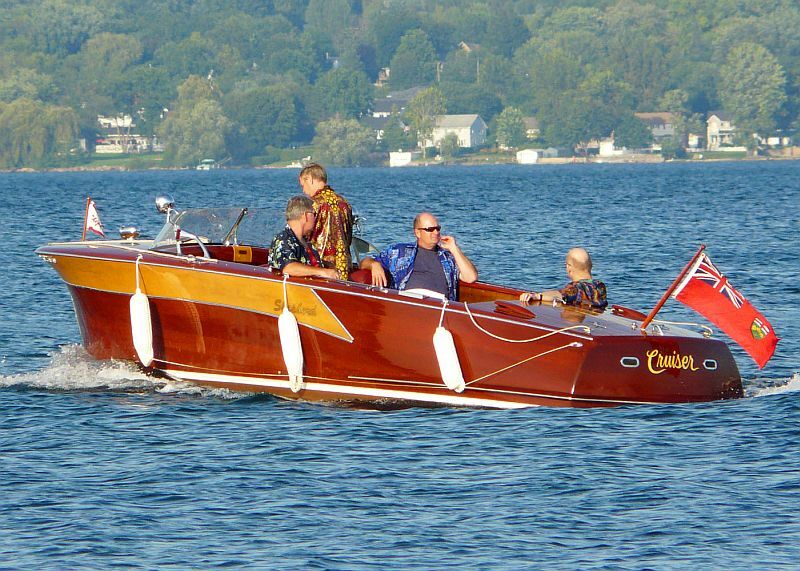 It features a 135 hp Chrysler Crown 6 cylinder engine with V-Drive transmission. 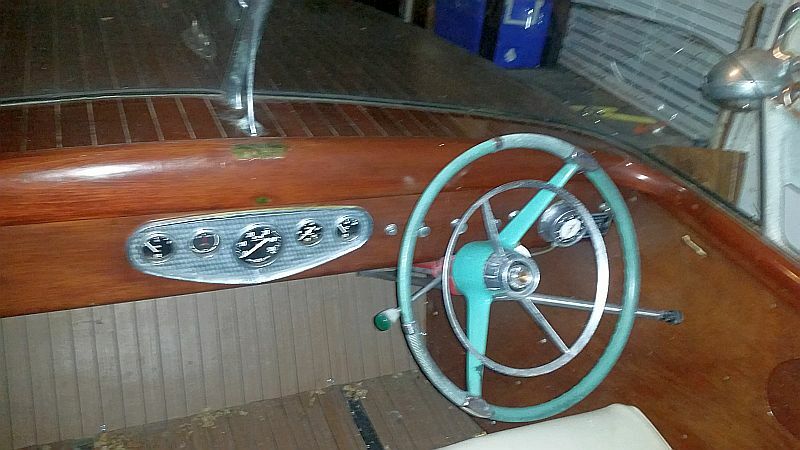 There are dual spotlights, a siren, pennant, and a convertible top. 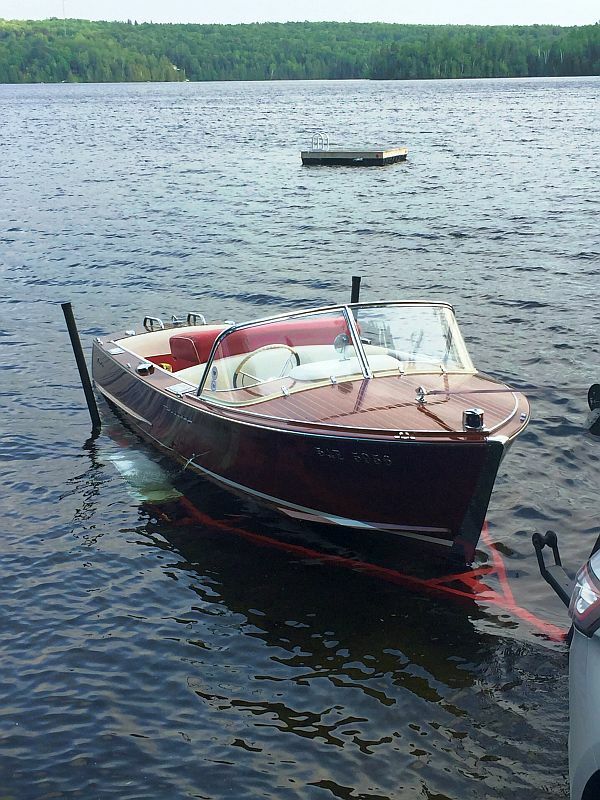 The boat is in very good condition and has been stored in a garage when not in the water. 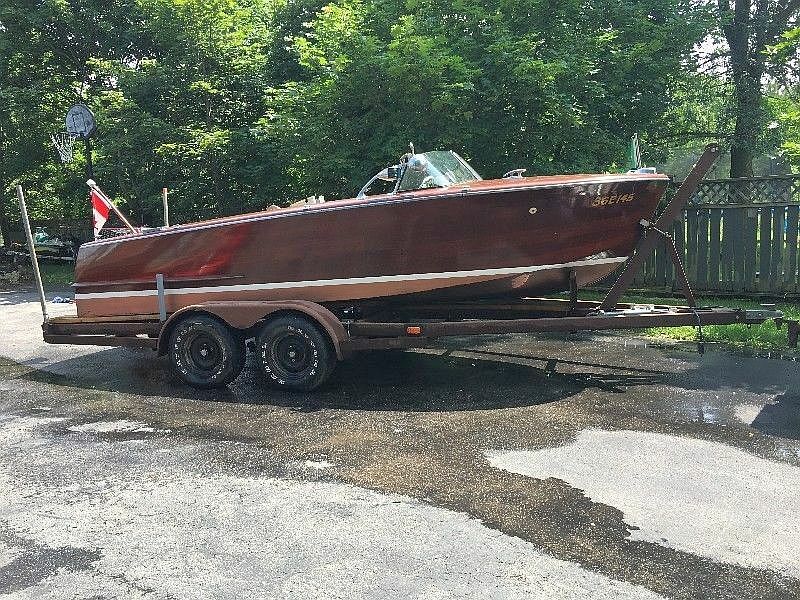 Price includes a dual axle trailer. 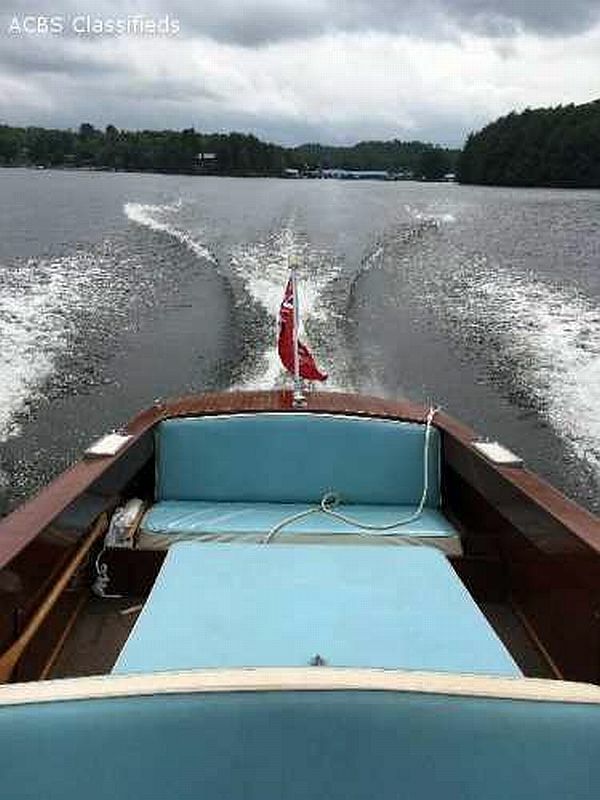 Tags: ACBS, classic boats, classic boats for sale, classic wooden boat for sale, classic wooden boats, classic wooden boats for sale, Muskoka boats for sale, Port Carling Boats, Shepherd boat for sale, vintage boats for sale, wooden boats for sale, woody boater Comments Off on Our newest listing: a beautiful Shepherd: 22′, 1956.